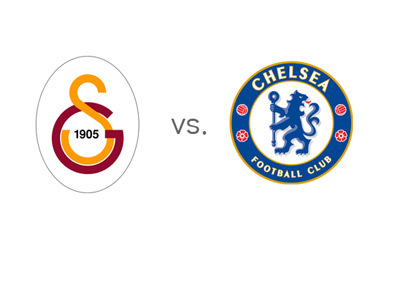 Galatasaray host Chelsea in the first leg of the UEFA Champions League round of 16 on Wednesday, February 26th, 2014. Galatasaray are going into this game having just won the Istanbul derby vs. Besiktas. They are now in second place in the Turkish Super Lig standings, where they are undefeated in their last eleven games. Roberto Mancini's team finished second in Group B of the UEFA Champions League, nine points behind Real Madrid and one point ahead of Juventus. Gala were crushed by Ronaldo & Co. in both legs, but they did win the crucial game vs. Juve at home in the last round. As the season progresses, Didier Drogba and his teammates seem to be getting stronger. Chelsea are currently in first place in the English Premier League standings. Their last game vs. Everton at home was a thriller as The Blues won it deep in injury time. Jose Mourinho's team cruised through their Champions League group and finished first ahead of Schalke, Basel and Steaua. Eden Hazard has been in great form this season and Chelsea will be looking to him for inspiration. The London side are the favourites going into this match, according to the odds. They are also the big favourites to win on aggregate and qualify to the next round. It should be noted that Aydin Yilmaz will be out for Galatasaray due to injury, while the new Chelsea signings, Nemanja Matic and Mohamed Salah, are not eligible to play as they already have this UCL season for their previous teams. One interesting fact is that Didier Drogba will be facing his old team for the first time since scoring the goal that won Chelsea the Champions League in 2011/12.